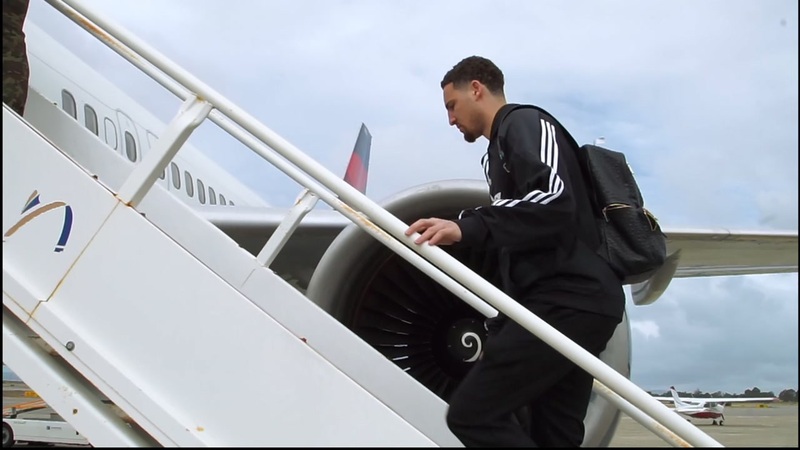 This image shows Warriors player Klay Thompson boarding a plane for Oklakoma City on May 21, 2016. OAKLAND, Calif. -- The Warriors' big men might be just as important as the Splash Brothers right now. "When the shot goes up, you can't be watching, looking for the rebound," Golden State forward Draymond Green said. 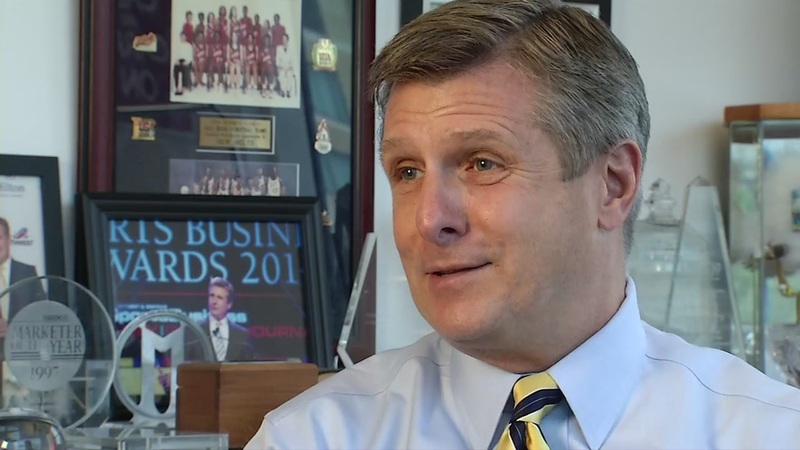 ABC7 News reporter Laura Anthony sat down for an exclusive interview with Warriors President Rick Welts. The Thunder won the battle of the boards by eight in Game 1 of the Western Conference finals and seized home-court advantage with a 108-102 win. Golden State bounced back in Game 2 and outrebounded Oklahoma City by nine in a 118-91 victory. The series shifts to Oklahoma City for Game 3 on Sunday. Golden State's Game 2 effort on the glass was a surprising development. The Warriors are a smaller team; the Thunder were the league's top rebounding team during the season. Golden State Warriors guard Steph Curry is the first unanimous selection as the NBA's Most Valuable Player, receiving first-place nods from all 130 voters. Curry also is the 11th player in league history to win the award in consecutive years. The 3-point wizardry of Splash Brothers Stephen Curry and Klay Thompson does provide some margin for error. But not all that much considering Oklahoma City was just behind the Warriors as the league's No. 2 scoring team this season. Green, Andrew Bogut, Festus Ezeli and Marreese Speights need to mix it up underneath for Golden State. Otherwise, there will be fewer opportunities for the Warriors to shoot those 3s and more opportunities for the Thunder in transition. The Warriors insist they'll be ready to take on Steven Adams, Enes Kanter, Serge Ibaka and the rest of the Thunder in Game 3. They're "always flying in there, trying to get the rebound," Green said. "So you've got to hit bodies." 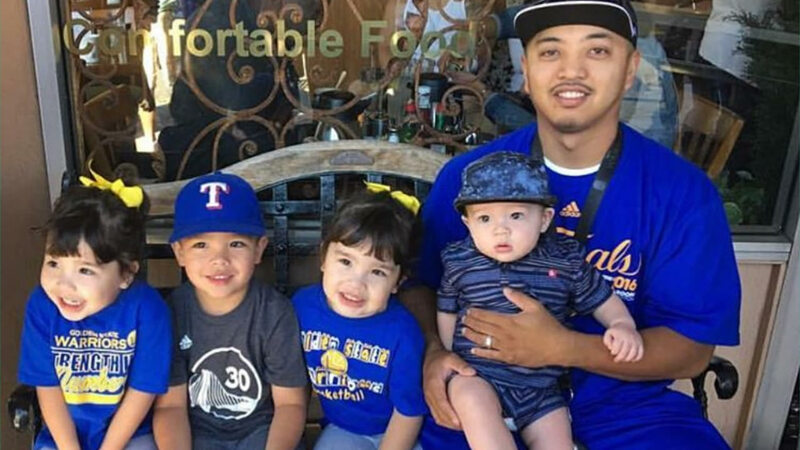 We want to see your fan pride Dub Nation, so tag your photos #DubsOn7 and we may feature them here or show them on TV. The Warriors went all out on the offensive boards in Game 2, risking fast breaks by the Thunder. Golden State finished with 15 offensive rebounds and 15 second-chance points. "I think they just got all the 50-50 balls on the offensive glass," Thunder forward Kevin Durant said. "It kind of surprises when guys are running in there because we're so good in transition. But they were in there and able to get their hands on some basketballs, so you have to give them credit." Now that the Thunder have seen Golden State's approach, they need to respond. "It's on us to make adjustments, boxing guys out and putting bodies on them and getting those rebounds," Durant said. "As simple as that. So we can't have that next game." The Thunder use their size and rebounding as an equalizer. In Golden State's 121-118 overtime victory at Oklahoma City during the season, the Thunder countered Curry's 46 points and 12 3-pointers by outrebounding the Warriors 62-32. The rebounding prowess goes beyond Oklahoma City's power forwards and centers. Durant often has double-figures rebounds, Westbrook is one of the best rebounding point guards in league history and shooting guard Andre Roberson is a 6-foot-7 leaper. Adams, an emerging star for the Thunder, took some hits in Game 2 and had to leave the game briefly. The 7-foot center finished with nine points and 10 rebounds. But he but didn't have the impact he had in Game 1 when he had 16 points and 12 rebounds and set the tone with physical play. Thunder coach Billy Donovan said Friday that Adams will be ready to go. "I was a little bit concerned when he kind of went down in the first half, but he was fine," Donovan said. "He was able to get back in the game, and I think he feels good." Ezeli understands the challenge no matter which Oklahoma City players are on the floor. "We know they're a very tough team," he said. "It's going to be a battle of the rest of the series, that's for sure. We just have to keep focusing on what we do and playing the right way, and hopefully it works out in our favor." Click here for the latest on the Warriors.